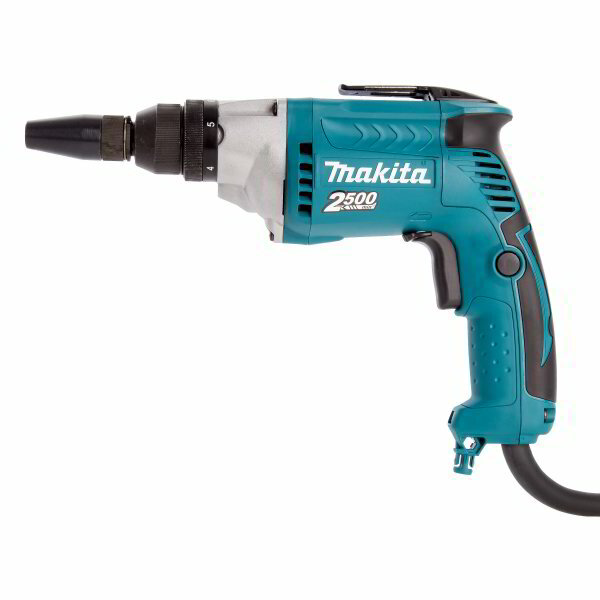 The Makita FS2700 Torque Adjustable Drywall Screwdriver is a well balanced, compact, and lightweight power tool that is specially designed to be more comfortable and easier to handle and maneuver, minimizing operator hand fatigue especially during long continuous operation. Its aluminum gear housing makes it more durable. It comes with an LED job light, a more durable metal belt clip, 6 stage torque adjuster, an adjustable variable speed trigger with forward and reverse rotation, rubberized soft grip, convenient LED job light, and a one-touch locator.